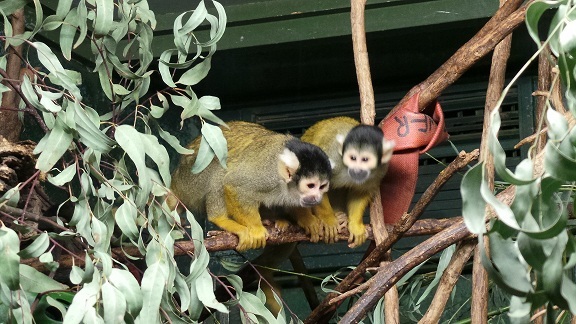 One of the most enjoyable experiences in Adelaide is a visit to Adelaide Zoo. But, imagine spending an hour with the keepers taking part in 'behind the scenes' activities, in areas which are usually off limits to the public. My daughter and I recently spent a Sunday morning doing just that. We chose the primates tour, but Behind the Scenes Tours are also available with pandas, big cats, sun bears and hippos. The morning started with a rendezvous with our friendly and knowledgeable guide at Gate 3, on the Botanic Park side of the Zoo. Our group had three members but six is the maximum allowed. Our guide stayed with us for the duration of the tour as the zoo keepers invited us into their world. We served breakfast to two different types of monkeys and we spent some time in the baboon enclosure hiding food for the baboons to discover. 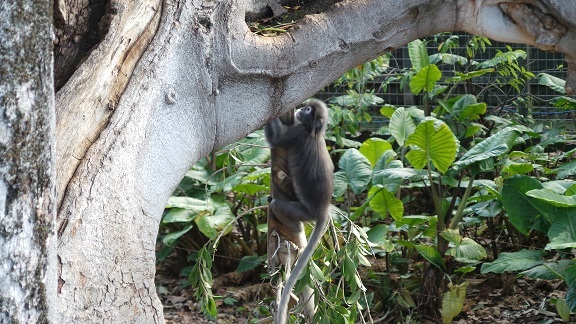 After the baboons were released into the enclosure, we had fun watching them finding it all. The keepers were informative and enthusiastic and enjoyed sharing their passion with us. The hour went very quickly and we were able to stay in the zoo after the tour. Our guide told us to visit the pandas directly after the tour as they are very active at that time of the morning and they didn't disappoint! We also enjoyed the free coffee and cake - the voucher was in the brochure pack which we were given at the conclusion of the tour. When: Tuesday, Thursday, Sunday - be at Gate 3 at 8:25am. Tours are 8:45 - 9:45.